We empower women to improve their health and environment -- one meal at a time. Women cooking with the Wonderbag use heat-retention technology to conserve precious resources like time, fuel, and water. 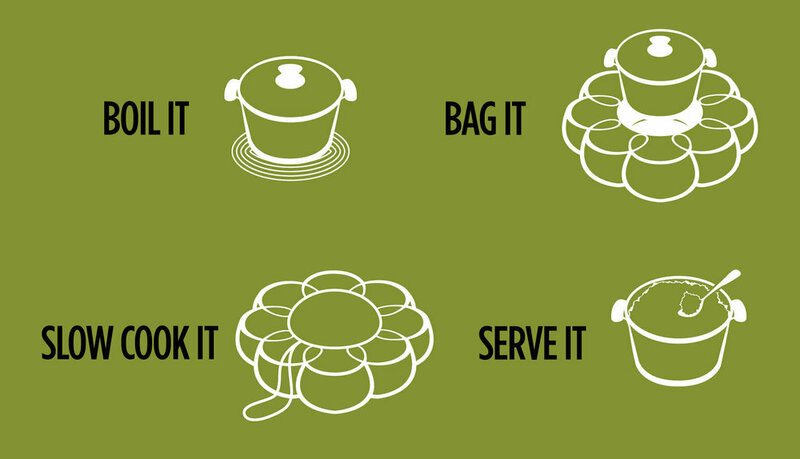 In over one million homes around the world, people bring their food to a boil in a pot for about twenty minutes, then place the pot into a Wonderbag to finish cooking. Once the pot is nestled inside the Wonderbag, it continues to cook for up to 12 hours. This cooking method also reduces water evaporation and retains traditional flavors and nutrient content. Wonderbag cooking saves between 30-80% of fuel -whether electricity, kerosene, charcoal, or firewood- and 60% of water typically used per meal. This improves home air quality and water availability, and reduces fire exposure especially for women and children who spend the most time at the hearth. 3 billion people cook over an open fire every day, risking health and precious resources.